The long-term sustainability of RM is by no means certain and there has been a palpable lack of business and commercial consideration within emerging RM industries. Without an experienced and knowledgeable guide, many RM organisations can flounder in their financial footing and struggle to navigate the uncertain waters of RM. CCRM Australia is ideally positioned to provide that guidance and help emerging RM organisations to build sustainable futures. At CCRM Australia, we believe that a union of science and industry is key to effective collaboration and innovation. Few understand the critical nature of commercialisation more than Dr Chih Wei Teng. Upon making a career transition from IT to science, he quickly discovered the lack of coordination between the general RM industry and the commercial side of RM’s sustainability. 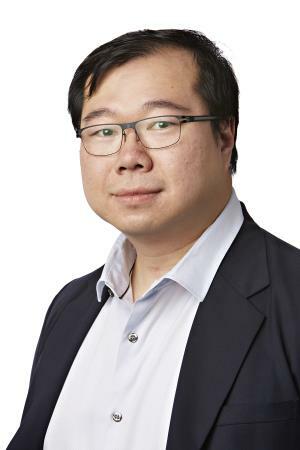 With a unique combination of 7 years’ experience at IBM and a PhD thesis on RM industry translation & commercialisation, Chih Wei is well positioned to identify and implement creative strategies to ensure the long-term success and sustainability of the RM industry. Chih Wei’s entrance into regenerative medicine came about from the connection to his PhD supervisor who was himself working on a project in RM supply chains. Given his IBM background and prior experience in healthcare and the sciences, he decided to shift gears and focus on an often-underappreciated aspect of RM: commercialisation. Today, Chih Wei is a valued member of CCRM Australia. After the completion of a 5-year strategic plan, Chih Wei now works to operationalise the organisation and make a push for long term sustainability. To ensure RM’s continued success, Chih Wei has plans to deal with the biggest challenges in the RM industry today.